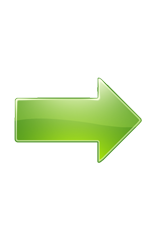 If you are here, you must be searching for the best solution to convert M4V to AVI file format. And this article does introduce a simple yet powerful M4V to AVI converter for Windows (10) and Mac users to address your needs. M4V file format is developed by Apple. And it is widely used in iTunes Store to encode movies, TV episodes, music videos. 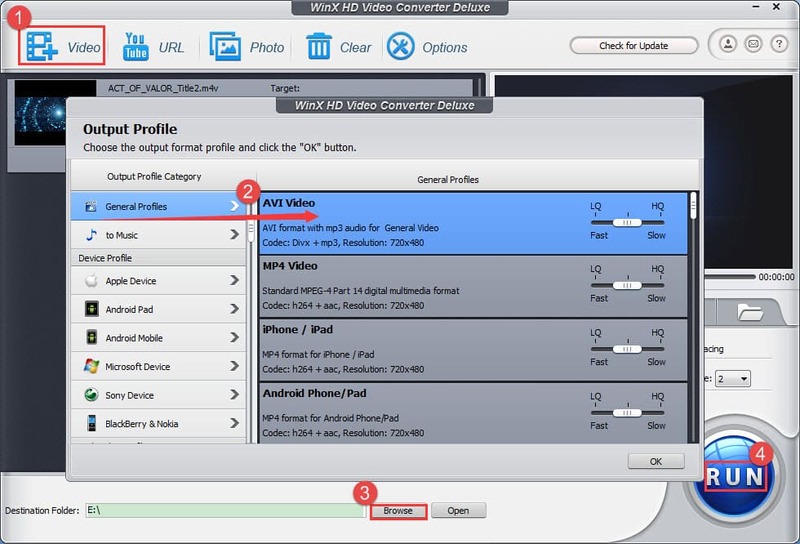 Additionally, you can get M4V files from many websites or create M4V videos using iMovie. However, not all devices or players can support M4V file format. 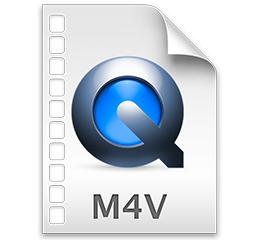 For example, if you want to play back M4V videos on PC, Blackberry, ZEN or some other devices, you'd better convert the M4V files to AVI firstly for smooth playback. AVI runs on a number of different systems like Windows, Mac, Linux, Unix and is accepted by the most popular web-browsers. How to Convert M4V to AVI on Windows (10) / Mac? WinX HD Video Converter Deluxe - Convert SD/HD/4K M4V videos to AVI for smooth playback on PC, Blackberry, ZEN, and other devices and players quickly and easily. WinX HD Video Converter Deluxe is one of the powerful M4V to AVI converters, available for Windows XP, 7, 8 (32 bit & 64 bit), as well as Windows 10. And its Mac version enables users to convert M4V to AVI on macOS Mojave and lower versions. It is a user-friendly video file format converter which allows novices to convert M4V to AVI instantly with the ready-made presets and enables professionals to do advanced parameter settings and video editing while processing M4V to AVI conversion. By making use of world's most advanced Intel QSV, MMX-SSE, Nvidia CUDA/NVENC, Hyper-threading and AMD 3DNow! 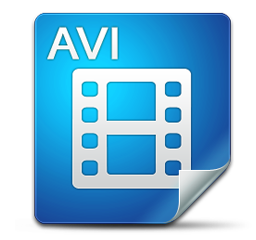 tech, M4V files can be converted to AVI at fast speed while maintaining perfect video audio effect. Copy-protected M4V movies are not supported! If you want to remove DRM from M4V movies purchased from iTunes Store, simply try WinX MediaTrans. It can help you kill DRM and convert encrypted M4V to DRM-free MP4 for flexible playback and editing. How to Convert M4V to AVI on Windows (10, 8, 7, etc.) and Mac? WinX HD Video Converter Deluxe is very handy for converting M4V to AVI, M4V to MP4, WMV, FLV, etc. You can follow the guide below to convert M4V to AVI on Microsoft Windows 10 and other Windows operating systems. And the steps for operating on its Mac edition are similar to those described here. Preparation: Download and install the converter on your computer. Then launch it if you're ready. Step 1. Input M4V file. You're allowed to input a single M4V file or a dozens of M4V video files by clicking on "+ Video" button on the top left corner of the main interface or simply dragging and dropping. Step 2. Choose AVI as the output. To convert M4V to AVI, you should specify AVI as the output. You can find AVI video profile from category "General Profiles", "PC General Profiles", and "to Blackberry"/"to ZEN" under "Blackberry & Nokia" category. Step 3. Select destination folder. You should select a destination folder to store the AVI file(s) converted from M4V by tapping on "Browse" button. Step 4. Hit "RUN" to begin converting M4V to AVI. Your file will be immediately converted. Afterwards, you can keep the AVI file(s) stored in your computer hard drive or save it to your Dropbox, OneDrive, etc. If you want to convert M4V to AVI, MP4, WMV, FLV, convert MOV to AVI, VOB to AVI, or convert any SD/(MKV, AVCHD, M2TS, MOD, etc.) HD/4K UHD videos on Windows (10) and Mac OS, WinX HD Video Converter Deluxe is definitely a good option.